Much of what we know about the sea we get from the press. 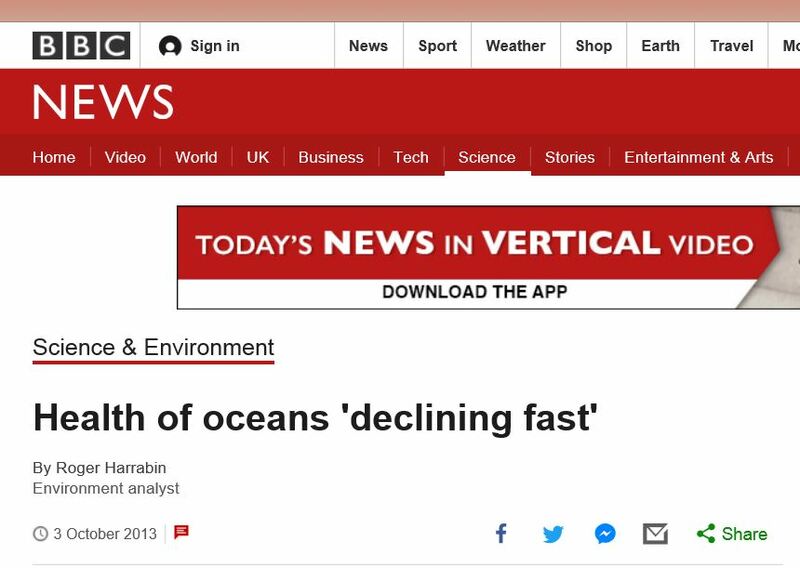 We are told frequently that our seas are in trouble. The news seems just to get worse. Plastic pollution, whales dying – large number of sea animals dead. There are some very major players whose interests lie in making sure that the real state of our seas is kept hidden because if it was made public it would seriously jeopardise their interests. Some years ago our little group started following commercial seaweed harvesting and associated businesses because here on the west coast of Norway we constantly see the seaweed trawlers greedily grubbing out the seaweed beds we know harbor most of the animal species that make up our marine ecology. The industry in Norway relies on regrowth – in fact we have exact figures on this. It has been calculated that the 170,000 tons the industry reportedly dredges up per year, if the regrowth was as stated then it would only require only 85 square kilometers, however the industry uses nearly the entire coast. 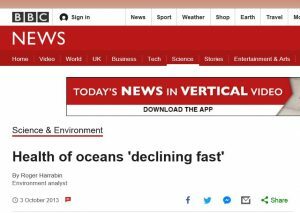 We can only conclude that this is because the plants do not grow back as they should, In fact we have reports that say in many places where trawling has occurred there is no seaweed , it has disappeared. This is further supported by the vast distances traveled by the cargo ships bringing the seaweed to the processing plant at Haugesund from as far afield as the Lofoten islands. In other words the industry itself is based on misinformation. The industry is clouded by misinformation – the only information we can rely on is from signed scientific documents not sponsored by the industry, because the industry does sponsor reports and they are biased. Bearing all this in mind where does one find reliable reports? The UK, the Scottish Governments and the Irish state have all sponsored well documented, signed reports. The last one bears the signatures of 45 international scientists – 7 from Norway. They all say the same thing – mechanical harvesting of seaweed is not sustainable. Bear in mind that these reports have been produced in support of the industry. So why is it allowed on the Norwegian coast? This is where the waters get very murky. There is no easy answer – just speculation. However the state protects this industry fiercely even though it is clearly causing major ecological changes. It is happy to change laws and infringe ancient rights, even interfere with investigations. Perhaps the answers may be found in the companies running the operations. Initially the company concerned was a Norwegian company called Protomare, they were taken over by a company, part of the massive FMC corporation. Initially called FMC Biopolymer, later FMC health and efficiency. They are interesting because some of the companies FMC own have been involved with massive business scandals, massive environmental pollution and even direct fraud, the last from their military division and against the us state. One of the chemicals they produce – carborofan or furadan is responsible for destroying most of Africa’s large predators – it is also responsible for the mass destruction of bird populations. Their business interests include the production of Lithium – this is a fascinating subject as the destruction of the ecology and environment surrounding the mining in the Atacama – Peru, Bolivia etc is largely ignored by journalists. We have fought a long campaign against the company here on the Norwegian coast. We started by following the boundaries the trawlers were supposed to follow – in the first few days we filmed a trawler harvesting illegally – we reported it with video and were interviewed by the fiskeriedirektoratet which is the regulating body. Yes we were told – they were definitely fishing illegally. Over the next few months we were visited – twice by police asking if we saw what we saw – both times we told them we saw nothing, but our cameras saw everything. So we waited for the results of the prosecution – after 2 years we decided to follow this up and were granted permission. By this time we were a bit unhappy so we decided to record the conversation. The Norwegian state apparently says that a public servant can be recorded without his knowledge because as representatives of the state they can only repeat and follow state policy which is public. The policeman we spoke to told us that the trawler skippers relied on paper charts and the only one they had showing the boundaries was in the office at the seaweed depot. Further the magnetic North pole had shifted tens of kilometres in the last few years so they had no idea of where they were. As our evidence relied on the position of marker poles, there was no high technology involved – simply on one side they were allowed, on the other, not, they were on the wrong side. We presented this information to very senior members of Fiskeriedirektoratet – the case went through in 2 weeks and resulted in a small fine and mention in the newspapers. A few weeks later a colleague started a similar case. As a highly qualified skipper he based his observations on land marks. The resulting case had a number of lawyers flown in to the small court room by FMC. They lost the case and the small fine was paid. FMC had for a long time been pressed to have installed tracking so positioning could be proved or not as the case many be. So after a few years the boats were fitted with ais trackers but the tracking was ordered so that only the fiskeriedirektoratet had full access. Shortly after this we received reports of seaweed trawlers operating at night in forbidden zones. We were even called out to one such event. Yes there was a large boat in the stated place going backwards and forwards, just as a seaweed trawler would. No navigation lights, just the searchlight on the roof. We filmed the boat but could not identify it, but they all have different configurations of searchlights. Fact is the boat was operating illegally without the lights – a serious offence. About half way through our observations a large fishing vessel passed the boat within a hundred metres, we later learnt the name of this vessel, but the fiskeriedirektoratet refused to follow this up. As most of the boats were loaded up to and over the roofs by their seaweed catch we decided to investigate how much they were allowed to load. W e went to the maritime agency responsible for the safety of ships at sea. Yes we were told they seemed to be definitely overloaded, and have no official loading marks. The ones we could see were well under water. We saw in the press that there had been a prosecution for overloading. All of a sudden every boat we saw was loaded up to the top of the storage hold and no more. Then they were overloaded again. We contacted Sjøfartsdirektoratet again and were told that they had a visit from FMC, and as a result they were to leave the boats alone. We sent them a recording we had of one of their men telling us how seriously they take this issue. We also recorded them telling us that they could no longer see the names of the boats or details of the FMC boats in the videos we sent them. We were impressed. 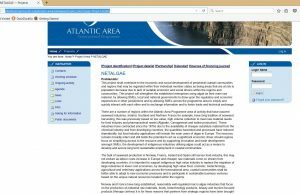 We keep an eye on the internet and the production of scientific reports especially those concerned with seaweed trawling, we also produce videos on this matter. It is far too easy to be taken with the idea that everything proves your case – with this in mind we ask our collaborators to double check our work from time to time, or to write their own for our website. There was an announcement that there was a new report from the havsforskningsinstitut that said there were no ecological problems from taretråling, so we investigated. One of the lead authors was Torjan Bodvin. We found a film of him on the internet on the home site of the HI on Youtube. There he said that the HI was going to research taretråling to see if there were any effects and how long they would last if there were any. The film was dated 2014. We searched our archives and found a clip of him at a conference in 2012 telling Trond Kjønno a director for Algea – a firm that also does seaweed harvesting, but a different type – that their lack of research into the effects of their industry could have serious environmental consequences. Most of the research papers we have on the effects of tt are from well before 2010 – the immediate effects have been well researched. The paper was fascinating, it followed all the protocols – the statistics and graphs were fine examples of the craft – on the first page of the report is proudly announced the it was sponsored by FMC the taretråling company. Unfortunately there were a serious number of discrepancies – it seemed that the area concerned had already been trawled (so how could the research be objective) – there are over 250 species of animals regularly found in the forests – the report was on less than 30. Of the 12 or so species of fish mentioned the vast majority were pelagic, that is they move around – they can be found anywhere. The papers authors Bodvin,Steen and Moi mentioned that they probably did not have enough data to do a reliable report but felt that the effects of the trawling were little to negligible. One of our collaborators wrote a report on this on our website, it was not kind. The research had been done north of Trondheim and used a ship called Fangst owned by a man called Adolf Fanghol from Midsund. You can see the ship quite clearly in the video Bodvin made for the HI. Some months after the report we were using our fishing boat outside Hustadvika when a blue fishing boat suddenly changed course and steered straight for us. As we were using a go pro and it was on at the time we got a very clear video – It was Fangst. Fortunately we were able to start the motor and run. We reported the event to the Sjøfarts direktoratet who gave us a case number – and to the police but they did not respond even though we sent them the video and communicated by phone. The Sjøfarts told us they took the case very seriously indeed. Our researchers from the uk told us that they had noticed that FMC was moving out of seaweed harvesting and that Dupont was now taking over. For us Dupont is fascinating because they produce a chemical called polytetrafleuroethyline ptfe for short. To make this chemical they need another chemical called PFOA – at the plant where most of this is made several pregnant women gave birth to deformed children – this chemical is carcinogenic and mutagenic. Turns out that something like over 90% of all Americans have this in their bodies. Another name for PTFE is TEFLON. 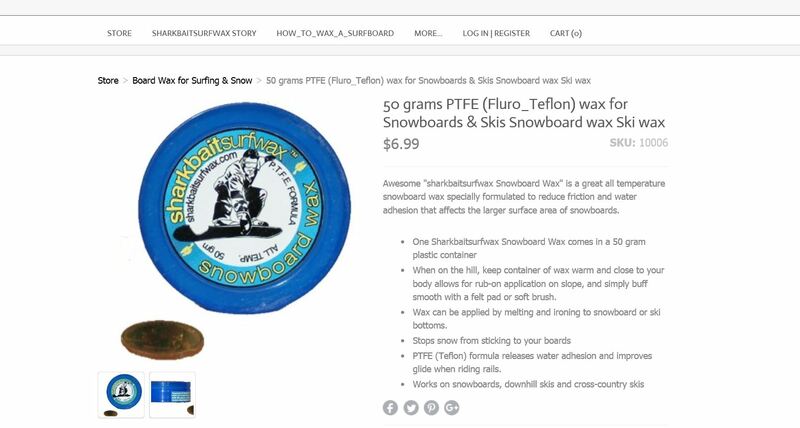 We did some research into Teflon some years ago and found much to our surprise that while there had been any number of articles on the matter no press article we found mentioned another substance which is given off by Teflon when it is overheated it is called perfleuroisobutene or PFIB for short. This chemical is so dangerous that it is actually in section 2 of the chemical weapons register. We did some further research on a website called H2G2 and contacted a man who said he was the senior chemist at the plant producing the substance in the uk. He poopahed the danger and told us that it was negligible because there was simply not enough on a frying pan to make anyone seriously sick. In fact he even told us that the eu sent an armoured convoy once a year to pick up the PFIB they had produced to take it to a factory for destruction. We also contacted an old friend who had worked at the uk chemical and biological weapons organization at Porton Down. He told us a colleague had nearly died from inhaling the gas when ptfe had come in contact with some red hot glass. He had a myocardial infraction in less than 3 minutes of the incident we were told. Information on the internet supports this with reports of several deaths. 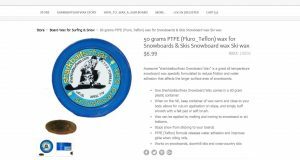 It is interesting to note that PTFE is used in ski wax preparations and that many people become very ill from this as they have to use a hot iron. Apparently the Norwegian government is looking into the cause. So Dupont have now taken over the TT industry on the Norwegian coast. A quick internet search reveals some startling facts – yes there are some very hot environmental cases – yes there are some very major incidents and last but by no means least the family that still owns the corporation Dupont is utterly fascinating. One of the senior members shot and killed a Gardner working for him – he received 30 years in jail and died there. Another senior member hired a hit man to kill someone he disliked – he is still in jail – another member was caught and sentenced for interfering with his children – however the judge decided to let him free as he would doubtlessly have a hard time in prison. It seems strange to us that the Norwegian state allows this industry to proceed as the evidence is very clear. It is even more surprising that the state allows corporations with such dismal records to have such power on our coast. The state cannot be unaware of the problems associated with the industry and its possible long term effects which are beginning to be felt now if the articles in the Fisheries newspaper are anything to go by. The last matter reinforced by serious complaints and meetings with over 20 councils up and down the coast. 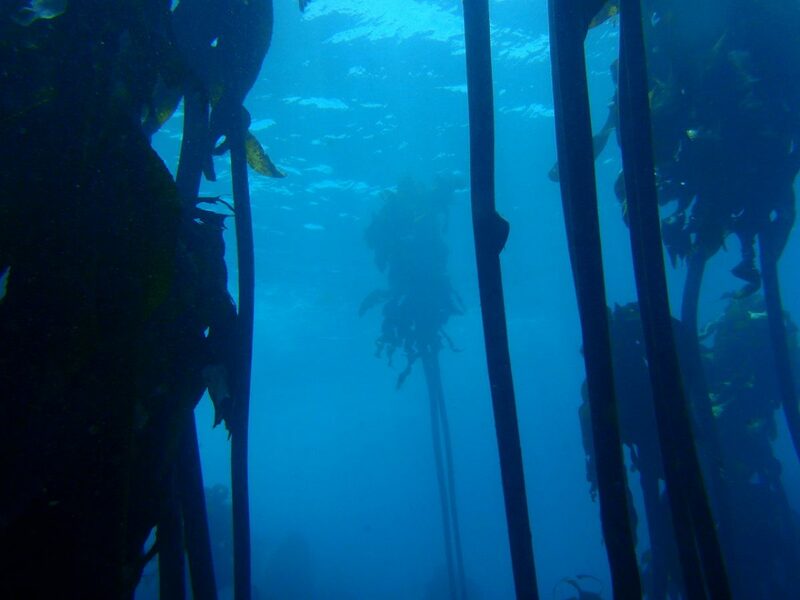 The state simply says that they own the rights to the seaweed forest and thats it. There is also an organization run and owned by the eu called Netalgae. Its job is to promote all forms of Seaweed harvesting. Initially it started up by researching the various countries involved and produced well researched and reasonably accurate reports. We have used some of their maps in our videos. We started a dialague with them and started asking questions – the person we spoke to said she would have to consult with their expert on the matter of ecological damage – she went further to say that it would simply not be allowed if there were any ecological problems. They never replied to our last question which was did they know of any negative environmental or ecological consequences. 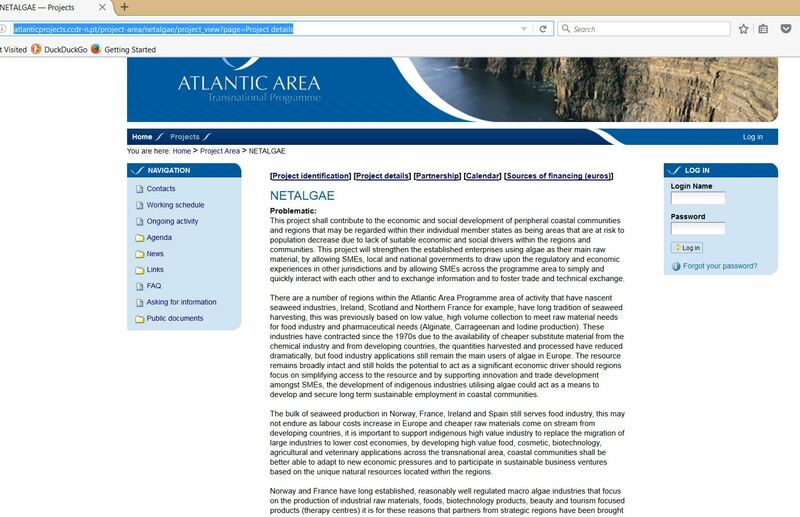 A little quote from their website “in countries where laminaria is harvested with mechanical equipment scientists appear to be concerned with equipments impact on species and also on the surrounding ecosystem” The operative word is “APPEARS” from their site it is quite clear that is far more than appears, they know. In 2017 we noticed that there was an addition to their website – a new document. It was called “Problematic”. It used very diffuse and obtuse language but what it said was that if any organization wanted to start seaweed harvesting they had a team who could help overcome any environmental or local governmental objections. The page also went to a link that stated they had a budget of over 1 MILLION EUROS for this. – the page has since disappeared. All in all it appears our marine environment is being ruthlessly exploited by massive corporations, protected by governments prepared to do virtually anything to protect the industry. There is serious information showing clearly the destructive effects on our ecology and environment, but there is far worse to come. Some years ago serious tt was begun above trondheim after it was found that some of the seaweed beds had grown back after many years of desert like conditions caused by sea urchin predation. It is well known that clearing the plants can open up the area for sea urchin predation – that it can take many years for the forests to re-establish themselves. About 2010 the first reports of massive pcb and dioxin pollution up to and including the lofoten islands appeared – the Hi and government had no idea why they said , but fishing grounds were closed and the catching of several species banned. There is a very clear report produced by a researcher called Mork – in fact he did his work here at Hustadvika just off the island of Kvitholm. He said that over 280 metres the effect of marine currents are reduced by over 80%. When you pull up a seaweed plant it produces a massive plume of sediment in the water. Yes the plants would act as a filter for any particulate matter in the water. We have a great deal of research papers and articles mentioning how effective the plants are at removing chemicals from the sea. 480 tons of Nitrogen per 20 sq km – removing chemicals such as tnt 5 times faster than land based plants, other pollutants such as mercury and organics and yet more. In 2017 sklinnebank and Halten bank were closed for fishing of certain species because of pcb and dioxin pollution. M One of our collaborators noticed that the area was overlaid with seaweed trawling grids. An article appeared on nrk staring that a boat called the Stella Maris employed by a dutch plastics firm was on its way to the area mentioned to dump chemicals used in the production of plastics – in fact some 600 tons. This was in the early 1971. The ship was turned back but it is clear that many thousands of tons had been dumped earlier, how much or for how long is unknown but some of the names of the companies concerned are known FosfatBolag ab from Sweden being one – another plastindustribedriften Zoutchemie Botlek in Rotterdam. Apparently many other boats had made the same trip. Could it be possible that tt had caused the release of these chemicals? We can find no research on sediments from seaweed trawling. In fact there seems to be some very serious gaps in the research on the plants – hinted at by articles appearing now and again in the press. It is possible that the plants have chemical defences which are triggered by tt. Land based plants have serious defences, some strong enough to kill elephants. We do have papers that show seaweed plants can communicate – therefore it is possible that the seaweed forests on the Norwegian coast are ringing like a series of bells especially as each harvesting zone is trawled for a year– that the production of defence chemicals is changing the entire ecology of our coastline, but again as stated – no research available. It is inconceivable to think that the companies involved are unaware, they would see the results as would their skippers and employees. There are some profound changes however in for instance the mackerel shoals. Some years ago the shoals were massive. Now they have been seriously reduced with young mackerel being found affected by lack of food. One trawler with a quota of nearly 50 tons only managed to catch 800 kg the whole year. If prey animals were no longer able to hide in the forests that would be logical. As the plants remove pollutants on a large scale – it is logical to assume that if the seaweed beds are damaged this will no longer happen. There is already a Norwegian government watchdog dedicated to harmful algal blooms. The Blooms or Hab’s are caused by certain types of plankton releasing serious neruochemical toxins when under stress. Some are extremely poisonous, most commonly they are taken in by shellfish and end up in the human food chain – others can become airbourne and cause severe respiratory distress as well as streaming of the eyes – even death. An incident on the british coast this year led to over 150 people being seriously affected. The daily papers printed articles on this being caused by habs but the bbc persisted in the belief that it was caused by chemicals leaking from a ship or factory. The usa is currently massively plagued by habs – personal anecdotes tell of a permanent hab in Florida which means that residents suffer serious effects if the wind comes from a certain direction. In overview it is clear that Harvesting of seaweed disturbs the marine environment in any form. It is repeatedly stated that Mechanical harvesting is not sustainable in any form by papers from Impeccable sources from at least 3 governments. Marine seaweed removes large amounts of pollutants. As our seas are in serious decline allowing this industry to continue is a danger to us all especially as there are vast gaps in our understanding of the forests function and connection with other Sealife. The seaweed trawling industry in Norway is led by companies that are part of corporations that have massive fines for ecological and environmental criminal offences. There is a large disparity between signed scientific papers and reports produced by and for the industry. Lastly but by no means least, it is possible that the industry is breaking the law on the protection of the environment in many countries including the EU but is protected by powerful interests connected to those countries, in effect breaking their own laws.